Hello again! So yesterday, I changed or rather updated the look and feel to the logo for Elderwood Publications. While this took time to do so, I also felt that an updated look was need to the logo for Faerie Rose Press’s logo as well. 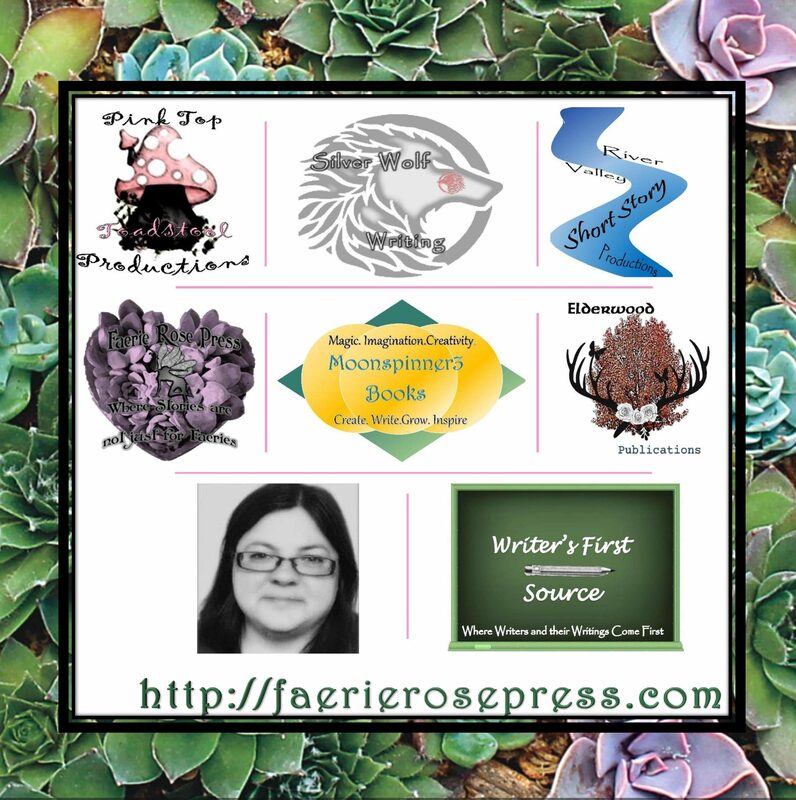 The reason in part for the change was that when I originally created the logo for Faerie Rose Press, I used one of those logo generators that you can find on the Internet. Yes, it was a nice logo, but at times I could not change the way that it displayed on somethings, which was a pain, which was one of the reasons that I felt that the logo needed to be changed. One reason why I also made the change to the logo, was so that I could display the moto to Faerie Rose Press, “Where Stories are not just for Faeries.” This was not something that I could change or add to the original file of the logo. Now I know that you are going to ask, are you going to change the logo to Moonspinner3 Books? The answer that I can give without a doubt is a heck no!! The logo to Moonspinner3 Books is not going to change. Not now and not ever, for it is here to stay. I can honestly say, that I am done making changes to the logos that are under the umbrella of Moonspinner3 Books. When I make any change, it is a decision that I do not make lightly, for I know that making any change can undo the balance that has already been put in place, but on the other hand, as I grow my business, I also want to be able to make the necessary changes that show that I am able to be flexible, which is apart of any business. Not just my business. I hope that you continue to tune back for the content that you always enjoy. But one part of the content that I put out is letting you all know about the changes that I am making to Moonspinner3 Books, as well as Faerie Rose Press, and Elderwood Publications. Being able to put out content and sharing with all you writing advice and tips, as always been one of the things that I wanted to from the creation of this site. But also I want to share with all of you what I have going on and what I am working on. These are all the things that I want to do with this site. As always, I appreciate your continued support, and I hope that you have a wonderful writing day and if you don’t come back until next year, I hope that you all have a wonderful new year!